Job Title: Project Coordinator, Silver Linings Project. Conditions: Fixed Term 2.75 years. Develop and co-ordinate the provision of services delivered by the Silver Linings Project (SLP), in order to maintain or improve the mental health, emotional and physical well-being of residents of Southwark. Build on and identify appropriate activities, interventions, services and partners in partnership with the users and the Silver Linings Advisory Board. This will enable SLP to provide an innovative and effective service that meets the real needs of its beneficiaries, optimizing access to the project and using a range of appropriate venues and locations. Be responsible for the day-to-day operation and management of the project including the recruitment, development and management of volunteers. Work closely with the Silver Linings Advisory Board including set-up and communication functions. at least 2 years’ experience with target group (65s and over). at least 2 years’ experience of volunteer and staff supervision, development and management. the ability to communicate clearly and appropriately at all levels both orally and written, and to pass on and generate enthusiasm to the client group. good networking experience of building up collaborative partnerships. good organizational skills – ability to plan, keep robust records, prioritize and be flexible, and to work unsupervised. Leadership skills, but is also able to work collaboratively with teams and is willing to get stuck in. a track record as a self starter and is highly motivated. knowledge and experience of leading on Safeguarding. sympathy with a Christian ethos. The Copleston Centre is a multi-purpose local community centre with a long and successful experience of working with all sections of the local community. This includes over 23 years of enabling meaningful social contact between older people – including those with mental health issues – and the wider community. We value diversity and work effectively in strong partnerships with other Southwark organizations, tackling social exclusion and isolation in the borough. We are proud to welcome to the Centre over 400 people from different backgrounds every week. To find out more about our work you can visit http://www.coplestoncentre.org.uk. For more information about this role please email jo@coplestoncentre.org.uk to receive our information pack. 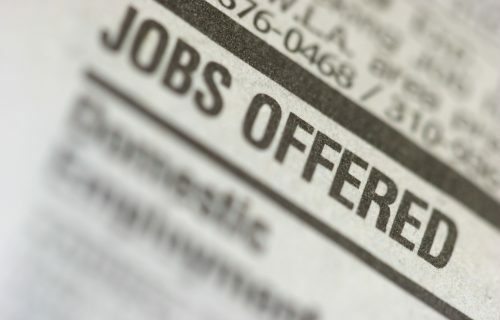 Please send your CV with covering letter to jo@coplestoncentre.org.uk, subject “Silver Linings Project Coordinator” before midnight on 25th March 2019. Interviews will be held on 4th April 2019. Please note: Any successful candidate must complete an Enhanced DBS check and a Confidential Declaration Form.